Located just one hour from Fort Lauderdale or 30 minutes from Nassau, Cat Island is one of the 700 islands of the Bahamas where you can step out of the plane and disconnect with the world! Far away from mass tourism, this is the perfect place to relax or enjoy epic conditions for kiteboarding, surfing, sailing, scuba diving (and shark diving), snorkelling, fishing and even more with the feeling that nobody has been here before. There is only one kite school on Cat Island, but there are many different spots that cater for all wind directions. The wind blows between 10 and 25 knots pretty much year round. The best season is from October to December and is windy 4 to 7 days a week. From January to May, you can expect 4 to 5 kiteable days a week. For the past two years in April, we have been blessed with three weeks of constant 20 knots of wind! From July to September the wind slowly drops due to hurricane season. However, we do often get days of 30/40 knots during this time. The direction is mainly East, blowing straight to Greenwood Beach Resort. In winter the air temperature varies from around 26°C/80°F and will pick up to 30°C/86°F during the summer time. The water temperature is good enough to go kiteboarding without a wetsuit with 24°C/75°F in winter and around 30°C/86°F in summer. Most guests that stay at Greenwood Beach Resort kite right out front along the 8-mile pink sand beach, 50m from the rooms. The resort also offers to drive you to the other kite spots around the island, or the school there has a boat to reach more remote beaches. If you want more a little more freedom, renting a car will cost you between $70 to $100 a day (based on how many days you are renting). 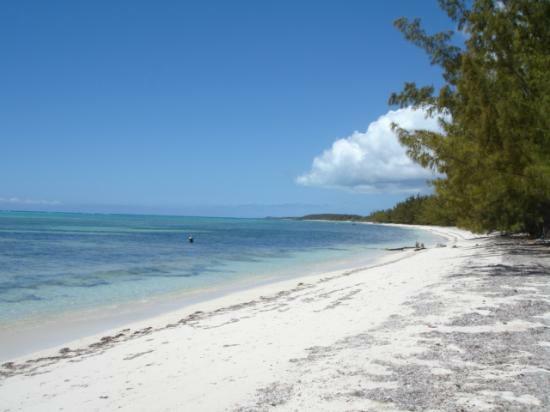 You can fly to Nassau, and then catch a flight to Cat Island flying with Sky Bahamas. There are flights every day, one in the morning, one in the afternoon. Or you also can fly from Fort Lauderdale straight to Cat Island with Watermakers Air. In both cases, you have to choose to land in Arthur’s Town or New Bight and depends if you are going to stay in the North or South of the Island. Greenwood Resort can arrange a taxi pick up, or you could rent a car (in advance) and collect it on arrival. Most of the resorts have their bar and restaurant where you have the choice between “à la carte” or a meal plan. Greenwood Resort offers a mix of Bahamian, German and French food all 30m from the kiteboarding action! However, travelling is all about discovering new people, new places and new flavours which is why you have to go to the local restaurant and try their specialities. If you like seafood, you have to try the conch salad (spicy for the bravest of you), conch chowder or grilled lobster. Meat lovers will enjoy the “souce stew” with goat, onion, potatoes and a delicious lemon lookalike fruit called souce. If you like sweet cake, then guava duff is for you. Vegetarians can enjoy a wide variety of fresh local fruits and vegetables. If you enjoy spending your evening around a big bonfire complete with good music, great vibes and friends, then Cat Island is the place. Here you will discover the “Rake ’n’ Scrape”, the catchy local music made with drums, a guitar, saw and screwdriver . . . I challenge you not to dance when you hear it! At the Greenwood Resort, there is an open mic and movie night every Friday which is a lot of fun! No wind, no problem. 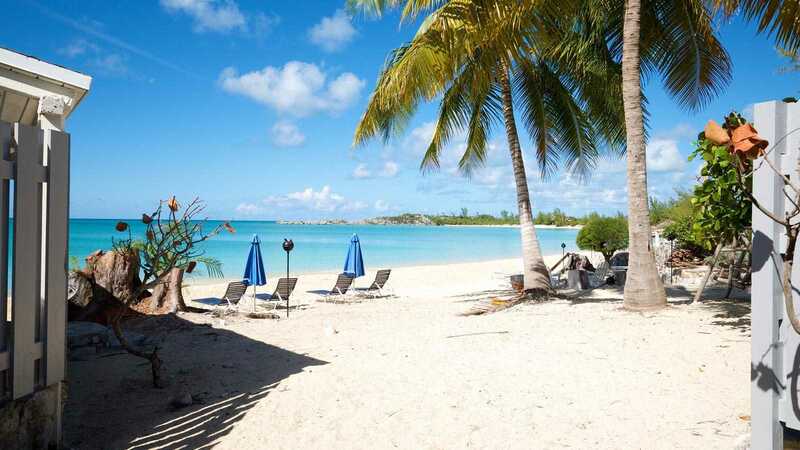 It makes for the perfect time to explore uninhabited cays and hidden coves, enjoy the turquoise water, pink sand beaches and admire the beauty of our sunrise and sunset from Mount Alvernia, the highest point of the Bahamas! Alternatively, you can explore below the water line with scuba diving on one of our 15 excellent dive sites, from shallow sandy spots to the impressive wall starting at 30m dropping to a hundred plus meters. It is not rare to see sharks (reef, nurse, lemon and even oceanic white tips) stingrays, turtles and all the colourful Caribbean fish. Cat Island is also a world-class fishing spot offering bonefishing, fly fishing and much more. Even though we are on a remote island, you can enjoy fast 6MB unlimited internet to skype with your friends, upload your photos and videos or stream your favourite TV show. Greenwood Beach Resort has 16 rooms providing a relaxed and peaceful atmosphere offering both single bedrooms or king bedrooms with AC or a ceiling fan. 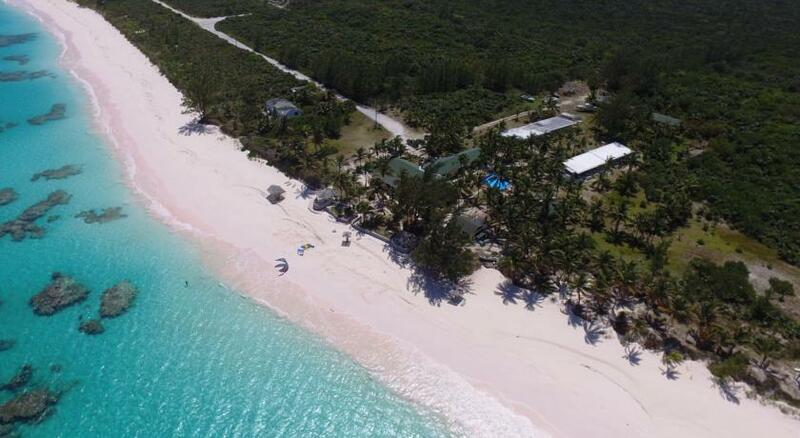 The large clubhouse is just 40 feet away from one of the most gorgeous, pink sand beaches in the Bahamas. Here the guests can enjoy their meals on the ocean view terrace. Pauline is a scuba diving PADI instructor and Antoine is Divemaster and kiteboarding IKO instructor. They will be happy to welcome you in their little paradise and make sure you are enjoying every minutes of your vacation. Been to Cat Island? What did you think? Where are the Best Kitesurfing Beaches in Cat Island? Located 40m from the resort's rooms with 8 miles of wide sandy beach, this spot is perfect for fully independent kiteboarders. Its convenient location means after kiting you can enjoy a swim in the pool, crack a coconut or have a drink at the bar! Just a 10-minute drive from Greenwood is one of the best kite spots for freestyle with flat shallow water with a sandy bottom and steady wind. This is also the perfect place for beginners. The Bight is a huge bay with a sandy bottom with lots of space. The only downside is the beach is slightly narrow, so you'll need to find a good spot to set up. The bay is lined with restaurants so grabbing a bit to eat after your session won't be a problem! Fernandez Bay Village is not only a beautiful spot with awesome staff and great food, but it's also an epic spot to kitesurf. Westerly winds will make the water a little choppy with great waves to make for perfect ramps! Ocean Dream Resort is THE perfect surf spot with a spacious beach and big waves. You can find some pretty epic barrels here too! When is the Best Time to go Kitesurfing in Cat Island? Charlotte Consorti finds paradise in the Bahamas. On a trip to this sparsely populated, one-road island, Charlotte discovers waves, flatwater, friendly faces, and sharks! It’s almost the perfect combination for a kite destination!